What's in a Name? 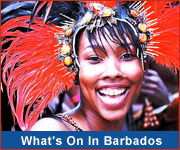 If you are familiar with guest houses in Barbados, then you can quickly find the one(s) you're looking for in this list. 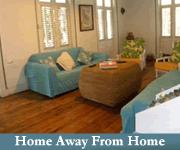 If you're a first-time visitor to Barbados or wish to stay somewhere new on the island, browse through these guesthouses to find your perfect accommodation. The handy rate guide will also help you out. 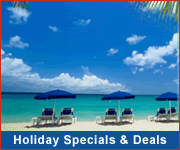 Or you can list by location, facilities and rates. 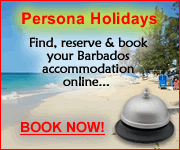 After their first visit to Barbados, many of our guests choose to return to the island regularly... some as often as twice or three times a year! 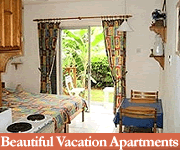 Many stay at the same guest house each time they visit and practically become part of the family. If you're one of these then you will quickly find your favourite spot in this list. But maybe you can try somewhere different this time, or try staying in another part of the island. If you're a first-time visitor, the names of these guesthouses may not mean much to you. You might find the lists by facilities or rate more helpful. 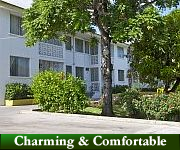 Barbados guest houses typically include separate bedrooms and shared facilities such as living room, kitchen and patio. 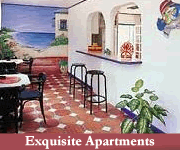 These accommodations offer a cosy ambience at affordable rates. So have a browse through our selection to find the one that's right for you.